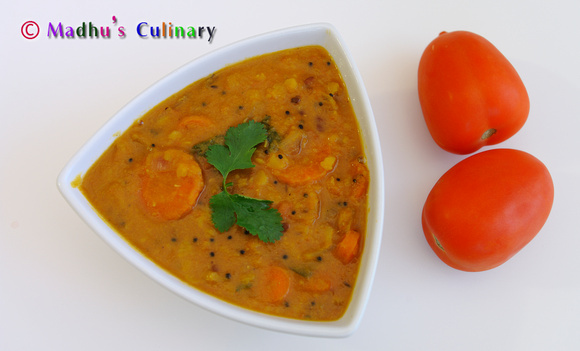 Tomato Sambar (தக்காளி சாம்பார்) ->Suvayo Suvai | Simple Vegetarian Recipes, Easy to prepare and healthy to eat! 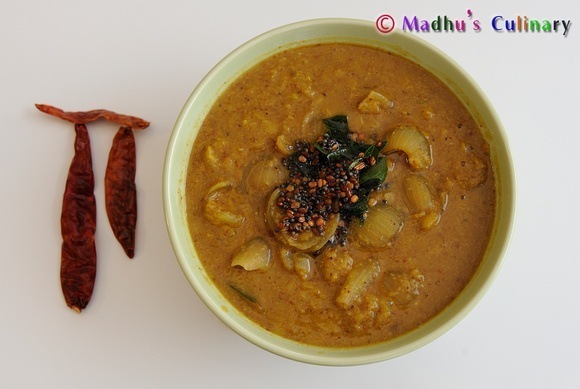 Want to have a Sambar that doesn’t use Tamarind as a source? Read on to learn how to use Tomato as a substitute. Wash the tomatoes and cut into pieces. Grind it finely in the mixie. 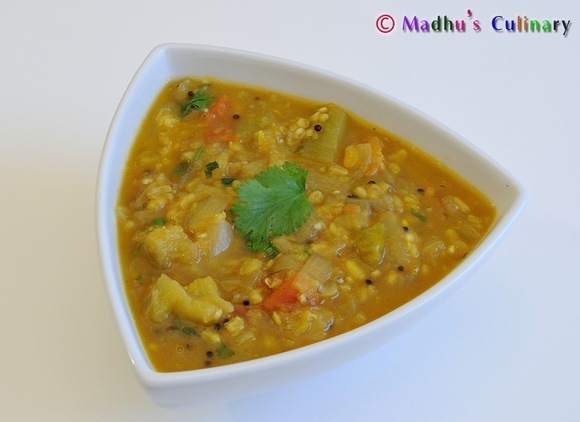 Cook the toor dal with turmeric powder and enough water in the cooker. Let it cook up to 3 – 4 whistles. When it cools down mash it well and keeps it aside. Take a kadai , heat the oil, add the chopped onion. Sauté it until raw smell is gone. Then add the ground tomatoes and mix it well. Let it cook until raw smell is gone. 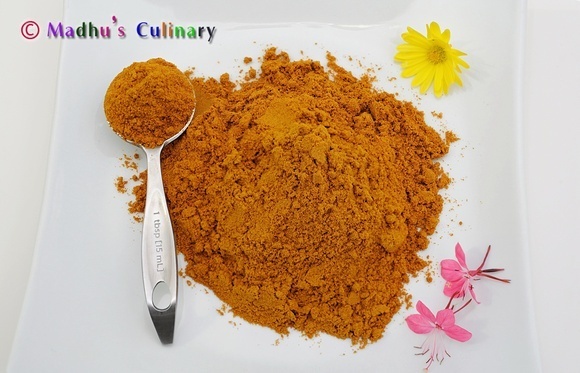 Add the chopped carrot, turmeric powder, sambar powder, salt and 2 cups of water. Let it boil until it becomes tender. And add the cooked-mashed toor dal and mix it well. Let it boil for 2 minutes. If the sambar is thick you can add some more water. For seasoning: Take a kadai , heat the oil and add mustered seeds. 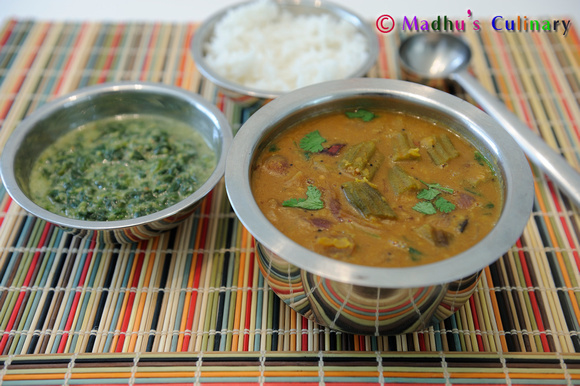 When it splutters add urad dal, fenugreek seeds, cumin seeds. 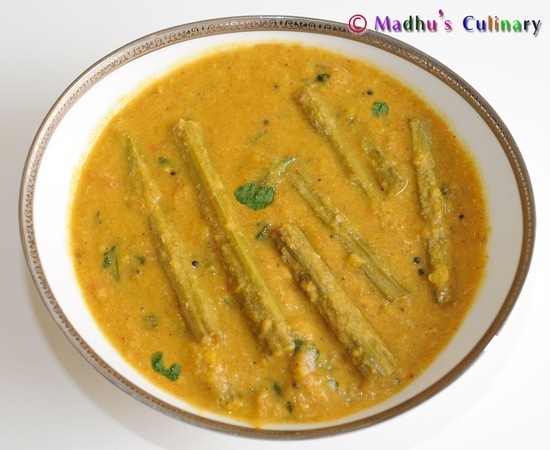 When it turns golden color, add curry leaves, green chilies and hing, mix it well. Pour it into the sambar. Garnish it with Coriander leaves. Serve it hot with rice. Use as a side dish for any south Indian Tiffin items. 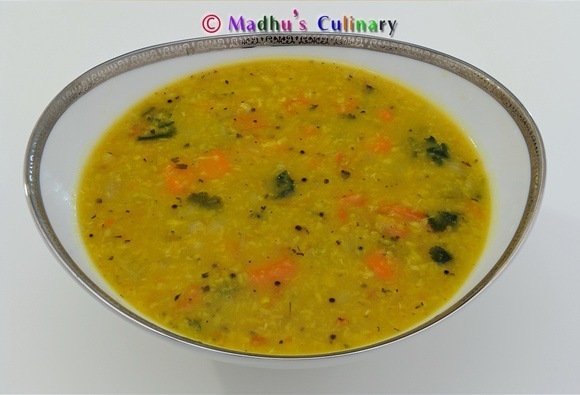 You can use any veggies that you would use for a regular sambar. This dish is not for folks that are allergic to Tomato . Easy to cook and taste is very good. Seems to be very easy to prepare and looks attractive.